Literally translated, Singapore means "lion city". This name was born by the island, river, city and state of Singapore. 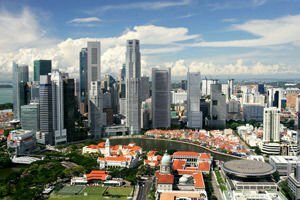 The country of Singapore with its capital, is located on the island of the same name, which lies south of the Malacca Peninsula. The Island of Singapore is separated from the peninsula of Malacca Johor Strait, which has a length of 55 km. In it is made the embankment connecting the country with Malaysia. Singapore is the third largest port in the world, which is indicative because of the level of the economy in the city and in general the Asian country. The first historical records for Singapore are from Chinese texts dating from the 3rd century. At that time, Singapore was one of the external borders of the Asian kingdom, Srivijaya, which was located in the lands of Sumatra. Originally Singapore was called to the Javanese name, Temasek and while it had this name it became an important trade center. Soon, however, his historical destiny gives to lose its importance once again. To a large extent this decline is the reason we have not been able to maintain almost any evidence from this period of Singapore, except a few archaeological artifact. Between the 16th and 19th century, Singapore entered into the composition of the sultanate, and later - during the Malay - Portuguese wars portugal was occupied by the army. After this occupation Singapore fell under the temporary control of the Portuguese in the 16th century, and the Dutch in the 17th century. In 1824, the British East India Company purchased the entire island of Singapore by the then ruler of the island, Sultan Hussein Shah for 60, 000 dollars. For an annual fee of U.S. $20, 000. Britons literally were able to buy Singapore, resulting that on April 1st 1867 that Singapore was declared a British colony. During World War II the Japanese invaded the island and despite the superiority of the British they surrendered. In 1962 after a referendum Singapore became part of the Malaysian federation with Malaya, Sabah and Sarawak. The lucky dates in the history of Singapore were in 1963 when the island became independent from Britain. On August 9th, 1965 Singapore gained its sovereignty. Today, Singapore is a modern, noisy, highly urbanized, with high skyscrapers and modern urban infrastructure. Along with Hong Kong, South Korea and Taiwan, Singapore is considered one of the Four Asian Tigers as regards to the economic situation. 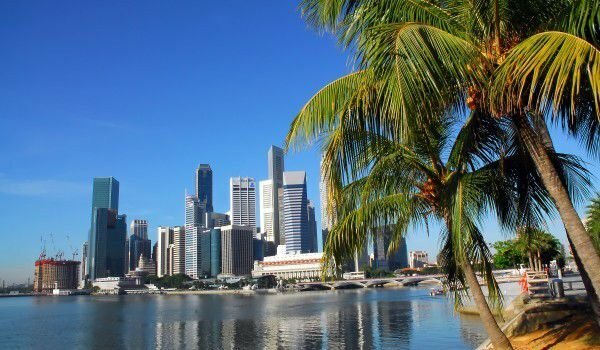 One of the main industries of Singapore is Tourism this is because the country and the city is a popular tourist destination. Nearly eight million tourists a year pass through Singapore, which brings it financial gains in the range of about 11 million dollars each year. To attract more tourists to the country and the city the government decided to legalize gambling, however currently only two casinos are entitled to exercise them. You should know that everything there is strictly channelled, this is where every rule automatically becomes law. Singapore is considered the most clean and green city in Asia and this is not accidental. This city-state recognition is mainly due to the fact that everything is regulated and offenders should expect some of the fines occurring all over the world. As a result of this strict but fair system of rules, Singapore is considered one of the safest tourist destinations in the world. Until recently it was taboo about chewing gum there because it pollutes the environment, as a result this product can now be obtained only from pharmacies. Singapore is clear - those who are trapped in the use or sale of drugs, suffer death. Among the tourist attractions that you should visit in Singapore is the Botanical Garden, where you can go and visit with the entrance ticket of $ 4. Within this green oasis you will have the opportunity to enjoy all varieties of orchid, which is actually the flower, symbol of Singapore. Next to the garden is located a zoo. One of the biggest attractions in Singapore is the only one of its kind in the world, a night zoo. There at night you have a unique opportunity to view over 1000 animals of 140 species which are located in the artificial habitat. The entrance ticket for adults at the night attraction of Singapore is $20. If you walk through the botanical garden and zoo, you must stop by at the aquariam which is about 84 meters long where you will enjoy the beautiful underwater world of fish, corals and all aquatic animals. For additional payment you have the option to take a dip alongside dolphins.